O Lord of mercy, and full of all benignity, who chastiseth men in diverse sorts to make them return unto thee, suffer not, O Father, that we, through our unthankfulness, forget thine inestimable benefits, and the most singular deliverances which thou hast bestowed on us from day to day; but grant, that we may continually be careful and mindful to consider all the days of our lives thy gifts incomparable, which thou ever givest to us, through Jesus Christ. Amen. From Prayers of the Psalms: From the Scottish Psalter of 1595 (Banner of Truth, 2010): p. 116. Scott Brown's sermon "Common Infections in Family Integrated Churches" has been featured this week on sermonaudio.com. It's a solid message pointing out some of the common problems that arise among churches that seek to be family integrated and with families that seek out family integrated churches. Well worth a listen. Conrad Mbewe did a post on his blog last week titled, Are all elders "pastors"?" in which he argues for a distinction in the one office of elder between pastors and (ruling) elders over against the "parity" view of elders. Note: This is an occasional, verse by verse series of expositions through the book of Jude that started in May 2007! You can read previous commentaries under the label “Jude Exposition” below. You can also listen to my sermon series through Jude here. Jude had the last to say about the false teachers in v. 19. With v. 20 he turned with final exhortations to address believers. Those exhortations continue in v. 22. The issue is both the translation and the case of the participle. The verb from which the participle (diakrino) comes can mean “to discern,” “to make a difference,” or “to doubt.” Is it nominative (as in the traditional text): have compassion/mercy making a difference? Or is it accusative (modern text): have compassion/mercy on those who doubt? It might not surprise the reader to find out that I prefer the traditional rendering. Jude is calling for the believers to be compassionate. As Christians, we are to be merciful. We are to be moved by the plight of sinners. We are not to be cold and indifferent to the plight of our fellow human beings. Nevertheless—and I think this is very consistent with what we have read throughout Jude—we are also to be discerning. Some will take compassion and mercy as a license for taking advantage of our good will. They will take the offer of divine mercy from Christ’s ambassadors as license to presume upon the grace of God. Jude exhorts his hearers to be large-hearted in extending compassion, but also to exercise discernment. • How does a believer extend mercy or compassion? • How has mercy been extended to us in Christ? • What areas of the Christian life particularly call for discernment? 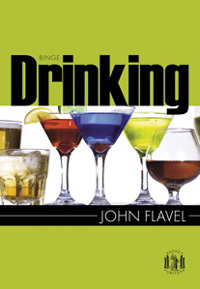 • How would one exercise discernment in considering marriage, in choosing a career, in choosing a church, in establishing doctrinal convictions? Peter. Every one of you. Peter. For every one of you. Peter. I am to preach repentance and remission of sins to every one of you, says Peter. Peter. For every one of you, says Peter. Peter. Repent of these your wickednesses, and here is remission of sins for every one of you. Object. ‘But I railed on him, I reviled him, I hated him, I rejoiced to see him mocked by others. Can there be hope for me? Bunyan adds, “Oh! What a blessed ‘every one of you,’ is here!” (pp. 19-20). The Vision (11/17/11): "I could spill it all for the sake of the Lord Jesus"
I am crucified with Christ: nevertheless I live, yet not I, but Christ liveth in me (Galatians 2:20). It made me see that all the world, notwithstanding all the righteousness thereof, is in a state of condemnation. It made me see that God the Father, though he be just, can justly justify the coming sinner. It made me greatly ashamed of my former life, and confounded me with the sense of my own ignorance; for there never came thought into mine heart before now, that showed me so the beauty of Jesus Christ. It made me love a holy life, and long to do something for the honour and glory of the name of the Lord Jesus. Yea, I thought, that had I now a thousand gallons of blood in my body, I could spill it all for the sake of the Lord Jesus. What has been the effect of knowing Christ upon your spirit? Has it made you see the world for what it truly is? Has it humbled you to know of God’s grace in saving sinners? Has it made you love a holy life? Has it made you long to do something for Christ? Has it made you worry less about your own comfort and more about the glory of Christ? Has it made you willing to pour out your life for the sake of Christ? As the term covenant is sometimes applied to a free promise, in which no condition is stipulated; it is proper to characterize that which was made with Adam as a covenant of works. It was a law, with a penalty affixed. “Of every tree of the garden, thou mayest freely eat; but of the tree of the knowledge of good and evil, thou shalt not eat of it; for in the day that thou eatest thereof, thou shalt surely die” (Gen 2:16-17). No promise was given, that Adam would continue to enjoy the divine favor if he continued obedient; but this may be understood to be clearly implied. Whether higher favor than he then enjoyed, would have been granted on condition of his persevering in obedience through prescribed term of probation, we are not informed. 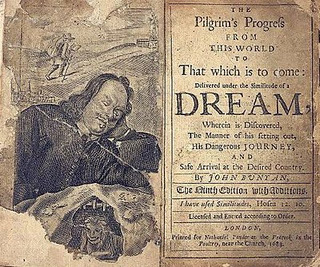 We have reason to conclude, that a continuance in well-doing, would have received stronger marks of divine approbation according to its progress; and, from what we know of the power of habit, as tending to establish man in virtue or vice, (a tendency which it has, because God has so willed it) the conjecture is not improbable, that, had Adam preserved in his obedience, he would, after a time, have been confirmed in holiness. But, where the Scriptures are silent, we should not frame conjectures to make them articles of faith. I just ran across Pastor Poh Boon Sing's article, The Reformed Baptist Dilemma, on the "Gospel Highway" magazine website. The revival of interest in Reformed teaching since the early 1960s has brought about the recovery of many important biblical doctrines. Some of these are the sovereignty of God, the sole authority of Scripture in all matters of faith and practice, salvation by grace through faith in Jesus Christ, the centrality and uniqueness of the local church, and the primacy of preaching. These doctrines have either been neglected or distorted among evangelicals at large. Nevertheless, these were the truths mightily owned by God in the past and loved by earlier generations of Christians. The re-emphasis of these doctrines has brought a new lease of life for the older Calvinistic churches, and has led to the founding of newer fellowships. Numerically speaking, Presbyterians and Baptists have benefited most from this recovery of Reformed teaching. Most of the latter have not hesitated to be known as "Reformed Baptists", holding to the 1689 Particular Baptist Confession of Faith as the doctrinal basis of their churches. 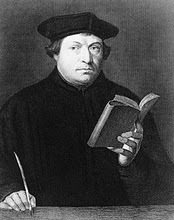 Reformed Baptists may claim justly that they are true heirs of the Reformation of the 16th century and the lineal descendants of the Particular Baptists of the I7th century Puritan era. After all, lineage in terms of belief is what matters, and not ecclesiastical pedigree or historical succession. Amidst apparent growth and unity among the Reformed Baptists there have arisen differences in ecclesiology (that is, the doctrine of the church). There are also differences in other doctrines. For example, in eschatology (the doctrine of the last things), there are differences about premillennialism, postmillennialism, amillennialism, or dispensationalism. Then there are the issues of whether the moral law is still relevant for the Christian, whether the Lord's supper and church membership should be open to all. There is also the debate as to whether Reformed Baptists arose during the 17th century or were descendants of an unbroken line of "Baptists" stemming from the Anabaptists, the Waldensians, the Donatists, and all the way from the time of the apostles. Even the title "Reformed Baptist" has been called in question. Some of these differences are relatively minor, and should not be enough to agitate or disrupt the unity of the Reformed Baptist constituency. Other matters are of greater importance. Failure to adhere to them would lead to the church concerned being frowned upon rightly not only by other Reformed Baptists but also by the wider conservative circles of churches. It is to be noted that one can hold to too little or to too much to qualify as a "Reformed Baptist". The two boundaries are not necessarily co-extensive. Where one boundary begins and the other ends is, of course, a matter of debate. It is probable that Reformed Baptists are generally clear about soteriology (that is, the doctrine of salvation). To a man they are Calvinists, holding to the well-known "Five Points" of Calvinism, often known as the doctrines of grace. Few would hedge as a "Four-pointer" or a "Four-and-a-half-pointer".1 Nevertheless, while being clear on soteriology, there is, unhappily, no equal clarity in the realm of ecclesiology. A general acceptance of believer's baptism and the autonomy of the local church is about all that may be said with certainty about Reformed Baptist churchmanship. 1. Reformed Baptists are today faced with the problem of not being clear on ecclesiology. Instead of recovering the church polity of the early Particular Baptists, Reformed Baptists have allowed themselves to be influenced by Presbytenanism and other factors. 2. Traditionally, Independency and Congregationalism have been confounded as one and the same entity. This is unfortunate. The two systems are quite different and their confusion has generated problems for not a few. Instead of thinking about three forms of church government, we should reckon upon four: Prelacy, Presbyterianism, Independency and Congregationalism. 3. Originally, the word "Congregational" meant that the visible church of Jesus Christ on earth is made up of congregations of called-out people. The word "Independent" was a derogatory term directed against those who embraced a Congregational church order. The purpose was to imply that the Congregationalists inclined to anarchy in their churches. In time a difference meaning occurred between the two words, so that "Congregational" came to mean the congregation ruling the church, while "Independent" came to indicate that the congregation is autonomous. 4. Independency arose in the separatist movements of the sixteenth century and was refined by Independents from within the ranks of Puritanism in the seventeenth century. John Owen's book, "The True Nature of a Gospel Church", was both definitive and influential for a long period. 5. The Particular Baptists practised a more consistent Independency by rejecting infant baptism and refining the principles of the system. They were in the earliest stage of their history seen to be separate from the paedobaptist Independents. 6. We need a contemporary, up-to-date, exposition of Independent principles. Until a better work is produced, the present contribution would try to meet the need of the hour. The Bible, the two confessions of the Particular Baptists, and John Owen's book, "The True Nature of a Gospel Church", will be referred to in that order of importance. If they have false assurance of God’s care and promises to them, and in this false assurance they comfort themselves, then their comfort is like the dreams of a hungry man who thinks he is eating or drinking, but when he awakes, he is still hungry and thirsty. So, many will awaken in the last day and see all things clearly. In that day, they will then find that God is their enemy. They will see him laugh at their calamity. They will hear him mocking when their judgment comes on them to the full (p. 208). When doing some reading to prepare to preach on 1 Samuel 20, I was struck by different perspectives expressed by the commentators regarding the character of David (and Jonathan). David tells Jonathan to report to Saul that he has gone to Bethlehem for a yearly sacrifice, rather than to the new moon festival, while, in fact, he is hiding in the field (vv. 5-6). Jonathan follows through on the plan and, as David hides in the field (v. 24), Jonathan reports to Saul that David asked leave to go to Bethlehem (vv. 27-29). The question is whether or not David and Jonathan are guilty of outright deception in dealing with Saul. Some readers may be disturbed to see that the Bible records Jonathan’s apparent “storying” for David. That is all the text is doing: reporting what Jonathan did. It does not recommend what he did. The Bible, as so often in such cases, ignores the rub the modern reader may feel. It is important, however, to distinguish between what the Bible reports and what it recommends. It tells you that Jonathan prevaricated for David; it does not say, “Go, and do thou likewise.” The Bible is telling a story, not teaching ethics here (1 Samuel: Looking on the Heart [Christian Focus, 1996]: p. 211, n. 9). David hid himself, to wit, at the time appointed; for it seems probable that he went first to Beth-lehem, as he bade Jonathan tell his father, ver. 6, and thence returned to the field, when the occasion required; else we must charge him with a downright lie, which ought not to be imagined (without any apparent cause) concerning so good a man, especially in so distressed and dangerous a condition. And why should he hide himself there so long before the time when Jonathan was to come thither to inform him? Nor were there any need of appointing a certain time to meet, if David were there all the while. The contrast reminded me of Peter Master’s comments concerning the description of the judges in Not Like Any Other Book: Interpreting the Bible (Wakeman Trust, 2004). Masters claims that many of the judges (like Samson and Jephthah) “have been horribly maligned and discredited” by modern interpreters (p. 109; see chapter 13, “Sticking Up for the Judges: A glorious range of heroes denigrated,” pp. 109-127). Would Masters say the same about the assumptions regarding the character of David and Jonathan in 1 Samuel 20? Believers sometimes slide away from cherished old principles of Scripture during unsettled times. Consider the singing of Psalms, for instance. So many have laid down this practice that I must ask if they ever enjoyed precious communion with God in the first place. Have their hearts ever danced up to God with heavenly love as they sang with their lips? How strange to hear a godly person deny this! If you ever met with God at this door of the tabernacle, Christian, did your heart grow cold before you threw away the duty of singing praises to Him? 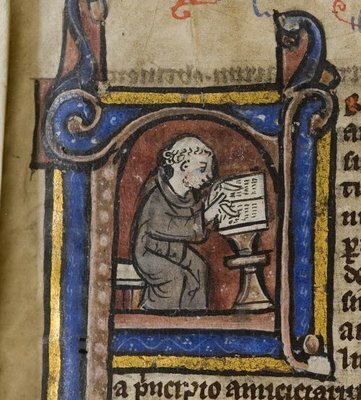 The Christian in Complete Armour, Vol. 2 (Banner ed. ): p. 32. Spurgeon on Psalm 42:4: "We might as well pray by machinery as praise by it"
David appears to have had a peculiarly tender remembrance of the singing of the pilgrims, and assuredly it is the most delightful part of worship and that which comes nearest to the adoration of heaven. What a degradation to supplant the intelligent song of the whole congregation by the theatrical prettinesses of a quartette, the refined niceties of a choir, or the blowing off of wind from inanimate bellows and pipes! We might as well pray by machinery as praise by it. Spurgeon on Psalm 33:2: "No instrument like the human voice"
Praise the Lord with harp. Men need all the help they can get to stir them up to praise. This is the lesson to be gathered from the use of musical instruments under the old dispensation. Israel was at school, and used childish things to help her to learn; but in these days, when Jesus gives us spiritual manhood, we can make melody without strings and pipes. 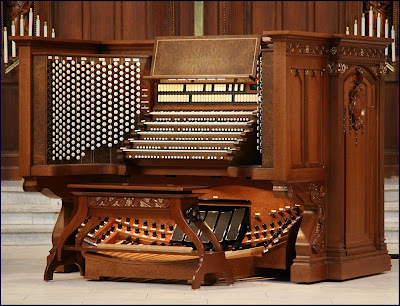 We who do not believe these things to be expedient in worship, lest they should mar its simplicity, do not affirm them to be unlawful, and if any George Herbert or Martin Luther can worship God better by the aid of well tuned instruments, who shall gainsay their right? We do not need them, they would hinder than help our praise, but if others are otherwise minded, are they not living in gospel liberty? Sing unto him. This is the sweetest and best of music. No instrument like the human voice. As a help to singing the instrument is alone to be tolerated, for keys and strings do not praise the Lord. With the psaltery and an instrument of ten strings. 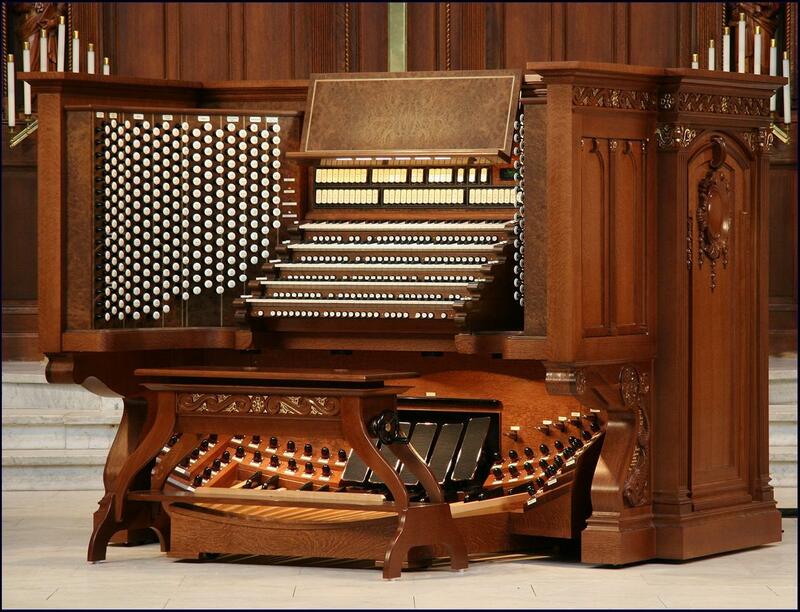 The Lord must have a full octave, for all notes are his, and all music belongs to him. Where several pieces of music are mentioned, we are taught to praise God with all the powers which we possess. Verse 2. Praise the Lord with harp: sing unto him with the psaltery and an instrument of ten strings. Here we have the first mention of musical instruments in the Psalms. It is to be observed that the early fathers almost with one accord protest against their use in churches; as they are forbidden in the Eastern church to this day, where yet, by the consent of all, the singing is infinitely superior to anything that can be heard in the West. J. M. Neale. Verse 2. Harp; Psaltery, etc. Our church does not use musical instruments, as harps and psalteries, to praise God withal, that she may not seem to Judaise. Thomas Aquinas. It was only permitted to the Jews, as sacrifice was, for the heaviness and grossness of their souls. God condescended to their weakness, because they were lately drawn off from idols; but now instead of organs, we may use our own bodies to praise him withal. Chrysostom. The use of singing with instrumental music was not received in the Christian churches as it was among the Jews in their infant state, but only the use of plain song. Justin Martyr. Verse 2. (last clause). It is said that David praised God upon an instrument of ten strings; and he would never have told how many strings there were, but that without doubt he made use of them all. God hath given all of us bodies, as it were, instruments of many strings; and can we think it music good enough to strike but one string, to call upon him with our tongues only? No, no; when the still sound of the heart by holy thoughts, and the shrill sound of the tongue by holy words, and the loud sound of the hands by pious works, do all join together, that is God's concert, and the only music wherewith he is affected. Sir Richard Baker. C. H. Spurgeon: Autobiography: Volume 2 (Banner, 1973): p. 441. A believer may be in the saddest and darkest condition imaginable. Even so, the Holy Spirit is able to break through all this and bring to mind the promises of Christ. By this work, the Holy Spirit enables Christians to sit in dungeons, rejoice in flames and glory in troubles. If he brings to mind the promises of the Christ for our comfort, neither Satan nor man, neither sin nor the world, nor even death itself shall take away our comfort. Saints who have communion with the Holy Spirit know this only too well. Sometimes the heavens are black over them, and the earth trembles under them. Disasters and distresses appear which are so full of horror and darkness that they are tempted to give up in despair. So how greatly are their spirits revived when the Holy Spirit brings the words of Christ to their minds for their comfort and joy. Thus, believers are not dependent on outward circumstances for their happiness, for they have the inward and powerfully effective work of the Holy Spirit, to whom they give themselves up by faith (p. 179). I got this link from someone on the RB list. Pretty funny...and true. I have started a new sermon series on Sunday afternoons through Spurgeon’s Catechism (an edited version of the Westminster Shorter Catechism). 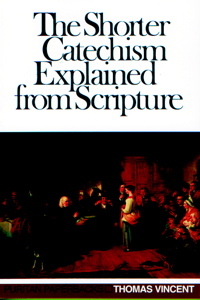 In preparation I am reading Thomas Vincent’s The Shorter Catechism Explained and Proved from Scripture (first published 1674; Banner ed., 1980). Because the Scriptures were confirmed by miracles. We read of many miracles in the Scriptures, especially those which were wrought by Jesus Christ and his disciples, to confirm their doctrine, that it was from God; such as curing some who were born blind, raising the dead, calming the sea with a word, and many more. Now, these and like miracles were from the immediate hand of God; and the relation we have faithfully handed down unto us, as appeareth by the writings still amongst us, of several holy men upon them and concerning them, as also by the several copies of them (which could not be forged, and not be found out) agreeing in the same relation. And as surely as God did effect those miracles, so surely is God the author of the Scriptures, which are confirmed by them. Note: In Lord’s Day morning worship we will continue our series on the Life of David in 1 Samuel. In afternoon worship, we will continue our series through Spurgeon’s Catechism. I’ve been reading through John Owen’s Communion with God (Banner of Truth ed.). In this classic work, Owen describes the fellowship that believers have with the triune God (Father, Son, and Holy Spirit). Consider the nature of God’s house. It is made up of ‘living stones’ (1 Pet 2:5). All those in this house are a ‘chosen generation, a royal priesthood, a holy nation, his own special people’ (1 Pet 2:9). They are ‘saints and faithful brethren’ (Col 1:2). Every one of them is righteous (Isa 60:21). The whole fabric of the house is glorious (Isa 54:11-14)….. Consider the privileges of that house. These privileges will not suit any others but the children of God. Is food given to a dead man? Will he grow strong by it? Will he thrive on it? The things of the family and house of God are food for living souls, and only God’s children are alive. All others are dead in trespasses and sins. Look at any of the things which saints enjoy in the family of God and you will find that not one of them are suited to unbelievers…. Only the children of God have the right and title to the things of God. They have fellowship with one another and with the Father and his Son Jesus Christ. They set forth the Lord’s death till he comes again. They are entrusted with the ordinances of God’s house. And who shall deny them the enjoyment of this right, or keep them from what Christ has bought for them? And the Lord will give them hearts to make use of this privilege and not wander on the mountains, forgetting their resting place (pp. 162-163). This week, let us consider what a blessing it is be part of God’s family, his household. Let us consider and treasure the spiritual privileges and benefits have been given to those made alive in Christ. It should be noted that Warfield’s doctrine of inspiration necessarily concerns the autographs specifically, and the copied texts only by implication and only insofar as they are accurately copied. 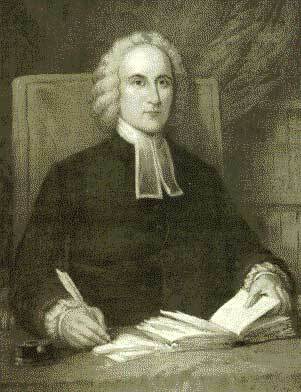 As did the Westminster Confession of Faith, Warfield argues that while translations of Scripture may faithfully convey the Word of God, and while the text of Scripture has in God’s providence been substantially preserved in its purity, it is the original text alone that was immediately inspired of God. The human biblical authors and their writings are the focus of concern in this discussion. “It is true, we have not the autographa of Moses and the prophets, of the apostles and evangelists; but the apographa or ‘copies” which we have contain every iota in them” (pp. 300-301). 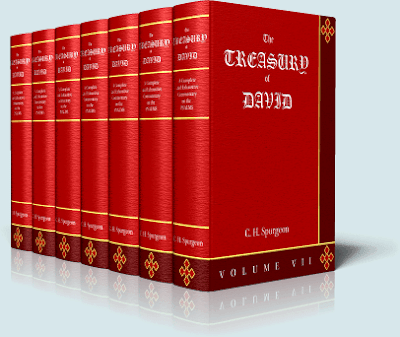 “…We add, that the whole Scripture, entire as given out from God, without any loss, is preserved in the copies of the originals yet remaining…. In them all, we say, is every letter and tittle of the word. These copies, we say, are the rule, standard, and touchstone of all translations, ancient or modern, by which they are all to be examined, tried, corrected, amended; and themselves only by themselves” (p. 357). “Let it be remembered that the vulgar copy we use was the public possession of many generations,--that upon the invention of printing it was in actual authority throughout the world with them that used and understood that language, as far as anything appears to the contrary; let that, then, pass for the standard, which is confessedly its right and due, and we shall, God assisting, quickly see how little reason there is to pretend such varieties of readings as we are now surprised withal;” (p. 366). Bob Gonzales of the Reformed Baptist Seminary recently wrote a post [update 2/22/14: the link to the original post by Bob Gonzales has been broken and I could not find it on the archive of his current blog; thus, readers will not have access to the post to which this article responds] suggesting that chapter one in the 2LBCF (1689) might be updated to include a reference to “inerrancy.” Reformed theologian-pastor Richard Barcellos offered several responses in the comments suggesting that the confession should not be altered. RB, in particular, calls attention to the fact that though several WCF affirming pastors championed the inerrancy movement of the 70s (e.g., J. M. Boice) they did not suggest altering their historic confession, the WCF. RB implies we should do the same. That is, affirm inerrancy but not alter the confession. 1. I agree with RB that the 2LBCF (1689) should not be altered to include the term “inerrancy,” but differ from him regarding the reason. 3. In my view, however, the confession does not affirm “inerrancy” in the modern sense in which it is defined by the Chicago Statement on Biblical Inerrancy. This statement, following the lead of B. B. Warfield, affirms the inerrancy of the original autographs of Scripture and does not address the providential preservation of the apographs, as in the confession. For a critique of Warfield’s construal of the inerrant autographs, see Theodore P. Letis’ The Ecclesiastical Text (The Institute for Renaissance and Reformation Biblical Studies, 1997). For a guide to how the framers of the WCF and the 2LBCF likely saw the nature of Scripture, see John Owen’s “Of the Divine Original of the Scripture” and “Integrity and Purity of the Hebrew and Greek Text” in vol. 16 of his Collected Works. 4. In addition, one might well argue that the neo-evangelical emphasis on the inerrancy of the original autographs, a la the Chicago Statement, has been a failure. For illustrations of this, see wrangling in recent years in the scholarly Evangelical Theological Society (ETS), which uses “inerrancy” as a litmus test for membership, over Clark Pinnock and Openness Theology (i.e., Pinnock claimed to affirm “inerrancy” while denying an orthodox doctrine of God and survived an attempt to remove him from ETS membership). Along these lines, Francis Beckwith was elected to the Presidency of ETS but had to abdicate after he announced he had decided to convert to Roman Catholicism. In his memoir, he stated, “I did not believe that the ETS doctrinal statement was inconsistent with my Catholic beliefs” (Return to Rome: Confessions of an Evangelical Catholic [Brazos Press, 2009]: p. 118). We might add a note here about the more recent row over Peter Enns of Westiminster Seminary who could belong to ETS and affirm its inerrancy statement while, at the same time, denying the historical reliability of the OT (see Peter Enns’ Inspiration and Incarnation: Evangelicals and the Problem of the OT [Baker Academic, 2005] and the response by Greg Beale in The Erosion of Innerancy in Evangelicalism [Crossway, 2008]). Given the failure of “innerancy” to safeguard orthodoxy in evangelicalism (as illustrated by the ETS), why should this term be added to a reformed confession that is more than adequate as it is? Thus to keep ope their drowsy slumb’ring eyes. Indeed, how we need the “Saints’ fellowship” to keep us awake and alert as we make the pilgrimage through this life.